INTAI | Mission & Strategy | INTAI Technology Corp. 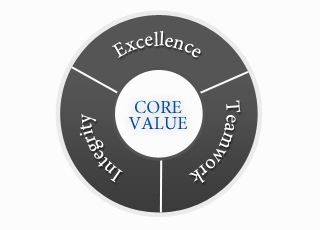 Improving the well-being of stakeholders through integrity, teamwork and the continuing pursuance of excellence. Derived from our innovative and human-oriented corporate culture, our overall mission is based on the continuous desire to provide our customers the highest level of satisfaction in products and services. This corporate culture of providing continuous improvement and operational excellence, accomplishes a win-win for our customers, our employees, our shareholders and the community. In addition, it demonstrates our dedication to becoming a superior manufacturing services provider.